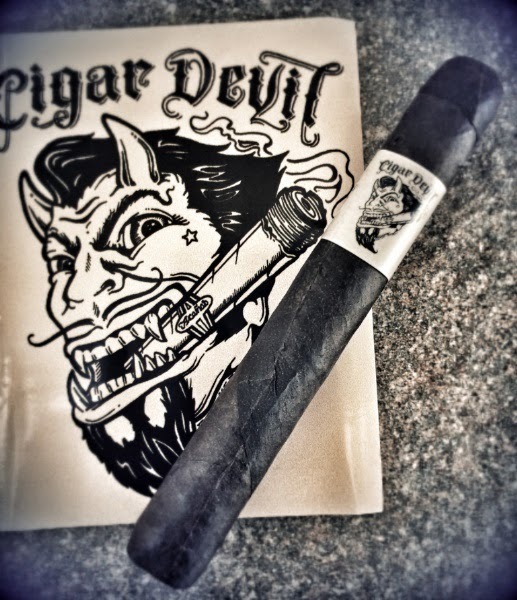 This cigar came as a five-pack, T-shirt, sticker deal from East Coast Eric. Looking at the wrapper, it's a bit rough looking, but it looks stout, it has some nice tooth and a great creamy chocolate aroma from the foot. The cold draw is a bit firm, but it has a nice spicy chocolate flavor. Right up front there's a nice medium body mix of fruity red wine with some chocolate that's pretty tasty. 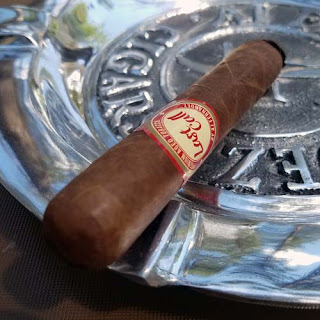 As the burn moves up the cigar there are nuances of brown sugar, caramel, oak and a nice burnt mocha finish. These need a bit of humidor time, they're a bit damp and I had to correct the burn once, but the flavor mix was darn good. The body stayed in the medium range with a seventy minute smoking time. Overall this was a great package with the heavy-weight T-shirt, the sticker and the cigars.